In this 1980 sci-fi horror film, a scientist obsessed with discovering mankind's true role in the universe. he submits himself to a series of mind-expanding experiments in a float tank and taking hallucinogenic drugs, He hopes to explore different levels of human consciousness, but instead is devolved into an apelike monster! The film had a mostly negative effect at the time turning people of to the idea of floating due to some of the fantastically negative portrayals of the results from using a float tank. It was of course untrue and allot of people found the film and as a result Float Tanks very interesting and could not wait to get wet. A few conspiracy theories have floated around over the years suggesting that the film was purposely produced to try and keep floating away from the mainstream as a free thinking population is harder to control, much in the same vein as the government making LSD illegal. 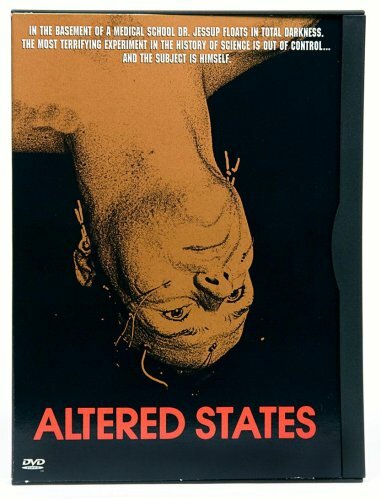 Never the less the film Altered States is part of the float tank history and deservers to honoured for the role it has played in attracting and deflecting people from experimenting with float tanks. Joe Rogan states he was drawn to floating because of Altered States.